Emergency Procedures at BSM At BSM we promote a positive culture of health and safety, through cultivating a learning environment that is supportive, happy and safe. 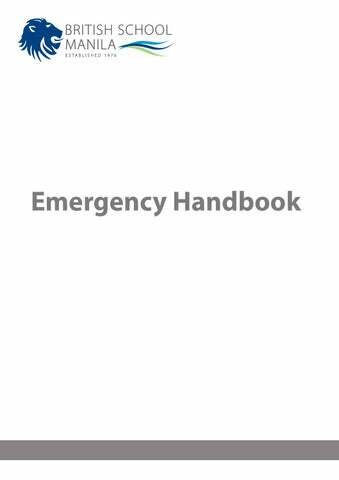 We have emergency response plans in place to cover a variety of emergency situations. These are grouped into evacuations or securing the building ‘Lockdown’, procedures. Communication to parents If an unexpected incident occurs at school, good communication with parents becomes vital. 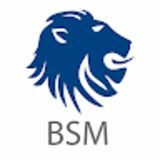 At BSM we have upto-date contact details for parents in case they need to be contacted in an emergency, including home, work and mobile contact numbers. Procedures such as SMS bursts and initiating the ‘contact tree’ between class reps and families are used to quickly give clear information and advice. Incidents might arise in which the running of the school is affected, eg involving fire, flood, or health and safety issues. Or there might have been a serious incident at or near the school, or on an organised school activity. Different levels of urgency and sensitivity will arise depending on the situation. At the sound of the alarm, the campus must be completely evacuated. Evacuation Procedures There may be occasions when the school needs to respond to threats which have placed the school in imminent danger and the need to evacuate arises (such as fire, or bomb threats). We have an evacuation procedure in place at BSM, and hold drills to educate the school community on how to safely respond. At the sound of the alarm, the campus must be completely evacuated. While people are assembled safely at the evacuation locations described below a team of operations staff will sweep through the campus ensuring everyone has been evacuated safely. No one is to return to the campus until the all clear signal has been communicated. If there is a need to evacuate the School, all students, staff and visitors assemble immediately on Parcel 2 following the evacuation procedure and must do so calmly and quietly. Silence must be maintained throughout in order to hear the instructions from the teachers, Head of School or Health and Safety Coordinator. All teaching rooms and offices must have the exit routes and evacuation procedures displayed and it is the responsibility of all staff to be familiar with these and alternative routes. At the sound of the alarm, everyone must proceed quietly and calmly to the evacuation meeting point. Doors should be left open to facilitate checking and clearing of the area by the Emergency Response Team/ Sweepers. Teachers must report missing students to the Head of Primary/Head of Senior School as soon as identified and wait for instructions. Students in the swimming pool area must leave the swimming pool, put on shoes, wrap a towel around themselves and proceed to the assembly area. The support and ancillary staff must assemble in the designated areas. The Senior School and Primary School Secretaries must take the registers outside and distribute to the senior school form tutors and class teachers, respectively. The Admissions staff should collect the log book and the Visitors/Parents sign from the security desk on Level 0 and check all visitors are present. Bus departure area. Those students and adults who are at the back of the school, (Gate 5 behind the swimming pool) bus departure area, are to exit the gate at gate 5 and assemble on the grassy area to the right hand side of the gate. Extra Security guards will be sent to this area to secure personnel who are assembled outside of the campus. Security guards are to instruct all cars and buses to turn off their engines, apply hand breaks, lock and leave vehicles and also assemble outside of the campus. At the announcement of ‘all clear’ the guards will instruct the assembled people to return inside the campus and continue with their dismissal and departure. Other areas of the campus Those students and adults who are in other areas of the campus, you are all to evacuate to parcel 2, and wait for the all clear signal. On hearing the all clear signal return to campus and continue with dismissal and departure. Security guards will stop any traffic entering the campus, instruct drivers to turn off their engines, apply hand breaks, lock and leave cars and also assemble at the evacuation point while waiting for the all clear signal. An announcement regarding the evacuation procedure will be made by the invigilator/s prior to the start of each examination. En route to the evacuation area, all examinees must not communicate in any way either with other students taking the exam or any other person until the exam has finished. All examinees must follow the invigilator/s to Parcel 2 where attendance will be checked against the register to ensure all examinees are accounted for. The examinees may only return to the Assembly Hall when it is safe to do so and only upon the advice of the invigilator/s, maintaining the ‘no talking’ rule throughout the process. Securing the building would be used in the event that the presence of an intruder in the school makes it dangerous for the students and staff to leave. This procedure is also practiced to educate the school community in how to safely respond. Start Communication Tree, advising parents of current situation, children will be released from school weather permitting. Typhoon so bad may necessitate an overnight stay in school. (Co-ordinate release /distribution of food supplies w/ Operations Manager). Indoor Safety If you are inside, stay inside. Do not run outside or to other rooms during shaking. In most situations, you will reduce your chance of injury from falling objects and even building collapse if you immediately: Drop, Cover and Hold On! Cover your head and neck (and your entire body if possible) under the shelter of a sturdy table or desk. If there is no shelter nearby, get down near an interior wall or next to low-lying furniture that won’t fall on you, and cover your head and neck with your arms and hands. Outdoor Safety If you are outside, stay outside. If outdoors, move away from buildings and utility wires. The greatest danger from falling debris is just outside doorways and close to outer walls. Once in the open, get down low (to avoid being knocked down by strong shaking) and stay there until the shaking stops.